Tithing. It’s one of those core Christian tenets that, purposefully or not, often gets forgotten by followers of Christ. Maybe it’s because, as humans born with naturally sinful inclinations, we would rather keep our money to ourselves. It’s just easier to be selfish and take care of your own needs and your family, right? Why give money to the church? You might be surprised to find out that John Wesley, founder of the Methodist movement, actually kind of agrees with that sentiment (to a certain extent)! Many times, Christians are great at gaining all they can and saving all they can; it’s that third part of Wesley’s sermon that seems to be the most difficult to put into practice. After waking, Jacob promises always to give back to God a tenth of the blessings he’s received from the Lord. This verse is, of course, where we get the idea of giving one-tenth of our Earthly earnings back to God. However, tithing isn’t a fixed rate. It doesn’t mean that you are always required to give back one-tenth of your earnings; no more, no less. One of the most beautiful instances in the Bible of giving as much as you can give is the widow’s offering, from Mark 12:41-44. You probably already know this verse by heart, but I’ll recount it just to make sure. In these verses, Jesus is sitting and observing people bringing offerings into the temple treasury. He sees lots of wealthy individuals bringing in large sums of money and tossing them into the collection receptacles. But then, Jesus observes a poor widow giving all that she has; just two small coins. Jesus’ purpose in pointing this out to his disciples is to show them that what’s important is not how much you give, but that you give sacrificially with a heart that is full of generosity. Tithing isn’t just a way for the church to collect money from members; it’s an essential part of the Christian faith. It teaches believers how to be generous with the blessings they have received and to give those gifts back to God. T his month provides some fantastic opportunities to give back to both your church and community. 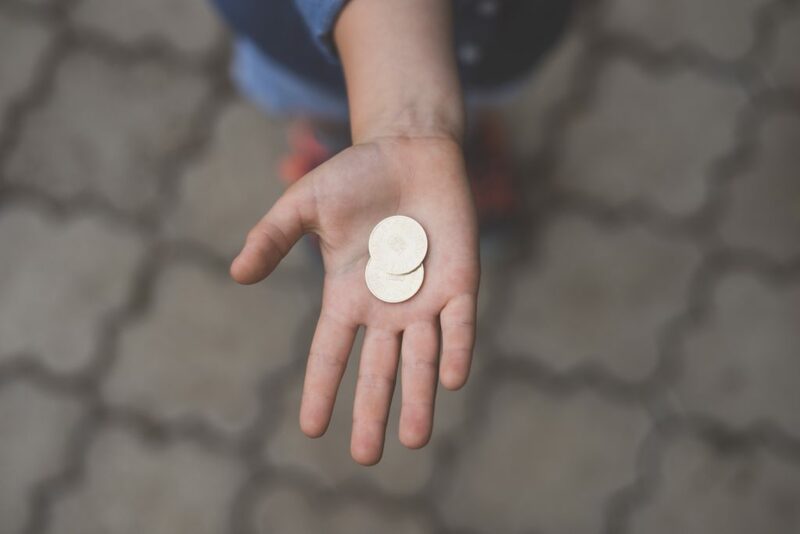 Whether it’s special Advent or Christmas tithe collections or charitable donations to causes that your church supports, make sure to approach your giving with a joyful heart. Tithing is an act of sacrificial worship. It’s not always easy to give, but by giving, it provides others with more opportunities which will further the Kingdom of God on Earth.